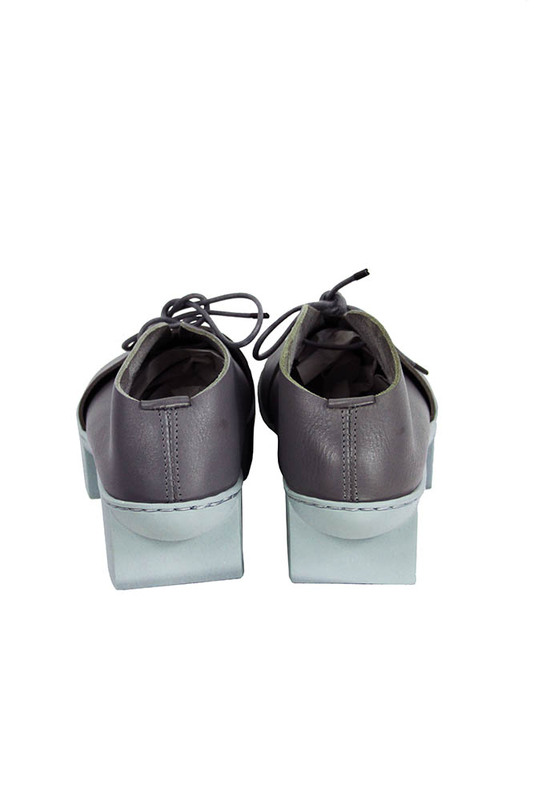 Trippen Deck Beton shoe in grey with grey laces. 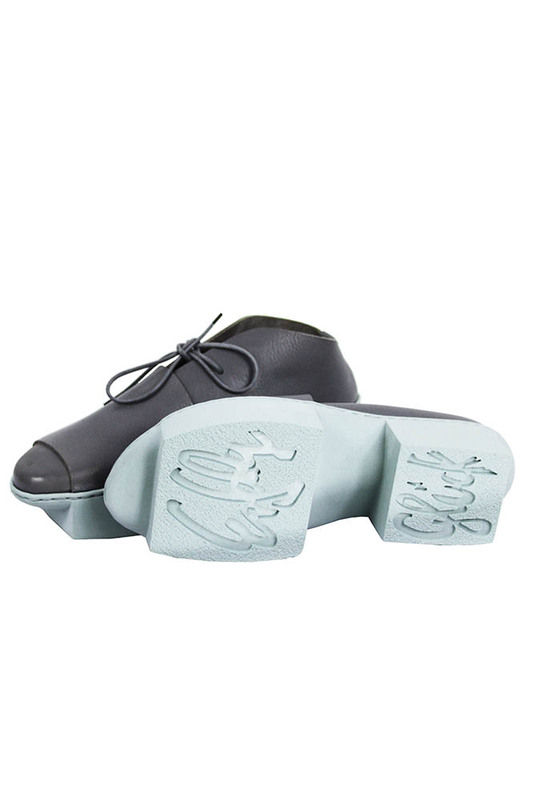 Light blue raised sole. (baton-waw pc and). Sizes 4=37 small, 5=38 medium, 6=39 large.